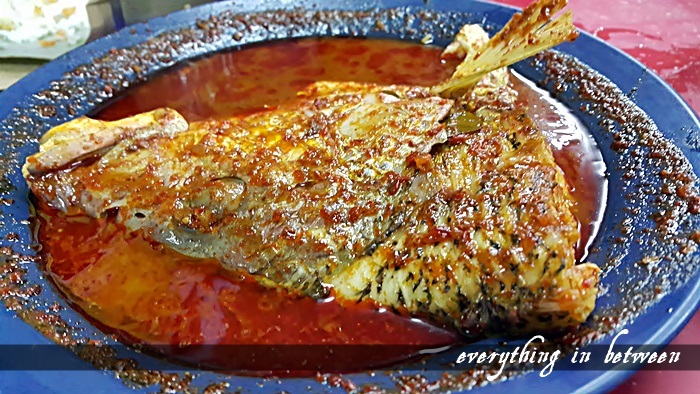 So.. macam dalam entry sebelum ni.. we had asam pedas for dinner.. where? 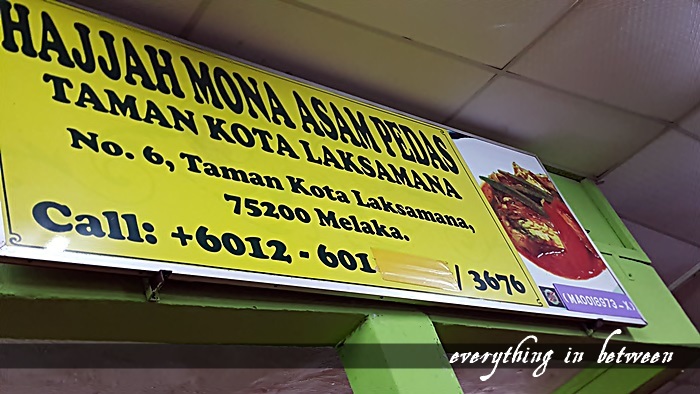 the famous asam pedas Hajah Mona in Kota Laksamana.. most of the review I read suggested here.. so, lets go! 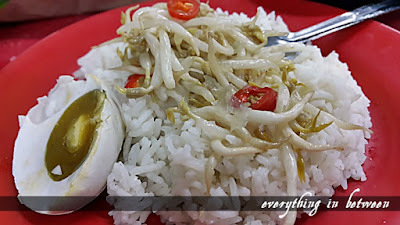 The problem is.. Adam.. he don't eat asam pedas.. luckily there were otak-otak stall in front of the restaurant.. itu jela yang dia makan.. tak ingat brapa keping dia makan.. tapi memang banyaaaaak..
Ok, back to cerita asam pedas.. kat sini, the asam pedas comes together with nasi in a set.. and the nasi ada sayur taugeh and telur masin..
Mak and Abah shared kepala ikan something.. and I ordered asam pedas daging tetel..
Mak and Abah love their asam pedas.. they sat it hit their taste buds spot on! I can agree to that.. 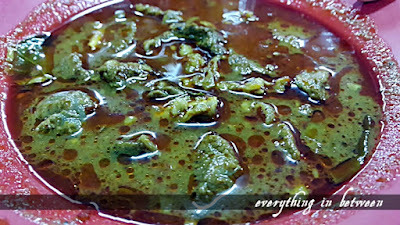 I tasted the gravy..
On the other hand my asam pedas tetel is a one notch spicier that the parent's and a bit salty.. quite a let down.. 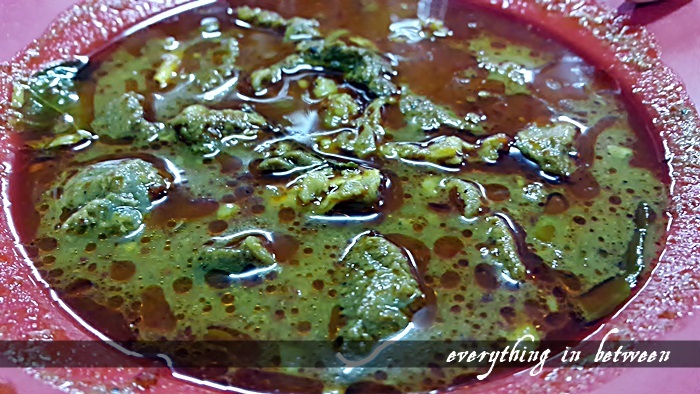 I was imagining to sip the gravy till the last bit.. but it is still good.. I managed to finish but didn't dare to sip the gravy..
Abah said he didn't mind to come here again for another fix of asam pedas.. it must be THAT good for Abah to say that.. 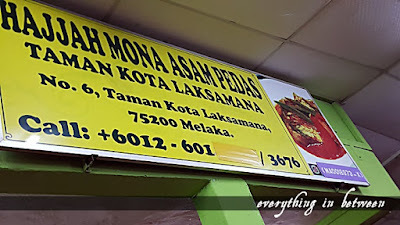 So if you are in Melaka do try tne asam pedas here.. you wont regret..